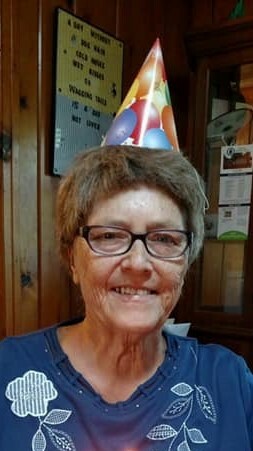 Sandra Brackett Chapman, 67, of Clover, SC, passed away Sunday, October 14, 2018 at White Oak Manor, York, SC. Graveside service will be 1:00 p.m. Wednesday, October 17, 2018 at Woodside Cemetery with the Rev. Tommy & Meg Wilkes officiating. The family will receive friends following the service and other times at the home. Ms. Chapman was born May 27, 1951 in York, SC to the late Lanford and Margaret Murphy Brackett. She was a nurse for many years. Survivors are her daughter Ashley Hinson (Justin Hinson) of Clover, SC; son Patrick Chapman (Los Angeles, CA); brother Danny Brackett (Millie) of Florence, SC; and granddaughter Adyson Bailey. In lieu of flowers, donations may be made to M. L. Ford & Sons Funeral Home, P. O. Box 68, Clover, SC 29710.